Emma, when will this book be available in the United States? Thank you for the response! I have read Apple and Ministry cover to cover on my kindle and ordered them both as a hard copy for my shelf. I will be sure to see if I can order through amazon.UK! Also, a random statemenr...sometimes on my kindle home page, famous writers from old times pop up. Today (and several other times), it was your great aunt Virginia! Take care & stay in touch. Hi Emma! 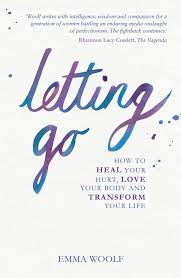 I have to write again to tell you that literally within the last 24 hours, a copy of 'Letting Go' was posted for sale on Amazon US! I bought it and it should be on its way tomorrow. :) Looking forward to reading it - I breezed through your other books in no time because I simply could not put them down.